And it looks like till they end the war in the middle east these prices will keep going up. We are having a new call/fax/tweet/email campaign for Mon and Tue and I hope everyone will participate! 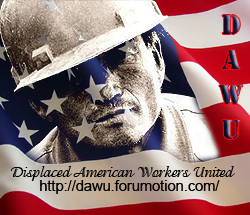 See the American 99ers Union Take Action page! We sent out an email to all 20 of our member groups and they will hopefully be sending an email out to their tens of thousands of members/subscribers. So we hope to get THOUSANDS of messages to Boehner and Cantor this week. BUT it all depends on YOU! Do NOT leave this for someone else to do! WE must do it! Be there or be square! Mon and Tue! what will it take for them to see that we are in need? Please all make a big push. April 1 puts me 3 months behind in rent. Don t think it gonna fly to well. Sent off my e-mails this morning. I am going to send some faxes tomorrow as my Grandma has a fax machine so I can use hers. I hope it all helps. Maxed out on tweets for the 3rd time today. Therefore I respectfully request you find a way to pay for H.R. 589, The Emergency Unemployment Compensation Expansion Act and work to pass this bill immediately. Many of us have nothing left and our situations are now dire.